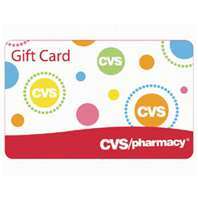 $55 CVS Gift Card 6-Hour FLASH Giveaway!!! quick, small, and easy giveaways! Our giveaways only have a FEW entries to fill out and you will know if you WIN in just a couple of hours! WHAT FUN! Good luck on tonight’s giveaway! See you back on Friday for another great FLASH giveaway! Here are our WONDERFUL participating sites for this evening’s 6-Hour FLASH Giveaway!! Check out these awesome sites when you have time! *NOTE: You can choose PayPal or Amazon in substitution of the CVS Gift Card if need be. I like to get make-up and hair products at CVS. I would stock up on basics, coupons of course. Toothpaste, shampoo, makeup, the best deal i can find. Iget cards and gift items from there. i like to get my cards ans gift items there. I don’t have a CVS here, I couldn’t tell you where one is at around me. But I purchase all my medical things at my Walgreens here. Usually beauty products- love when their makeup goes 75% off! And CVS always seems to have a good deal on laundry detergent! I love to buy toiletry items with my coupons!!! Love to stock up on paper products. Thanks! I love buying toiletry items especially when i get a good coupon!! I would stock up on nail polish and other nail items and carmex moisture plus colored lip care! I do all my health and beauty product shopping at cvs. Sometimes get candy, snacks, and cleaning products there too. Love their jumbo cotton balls! They always have specials on supplements and my favorite coffee drinks. I love to buy my hair, paper, and makeup products at cvs. CVS is also my one stop for pharmacy needs. I always loved LONGS and then had to stick with CVS as well. I like to use my coupons and get the best deals….whatever it may be. We don’t have CVS in Canada, but I do go to the USA often as I only live an hour and a half from the border. I love CVS! I like to stock up on vitamins, cold and sinus medications and Aleve, it’s much cheaper at CVS than here in Canada! I buy all my health and beauty aids at CVS–this is the Best drug store around!! We get everything at CVS – from prescriptions to household cleaners! I buy anything in the store. I make atleast 2 trips a week to take advantage of their sales with using coupons and rolling my extra care bucks. It is my favorite store to shop and stock up on everyday items. 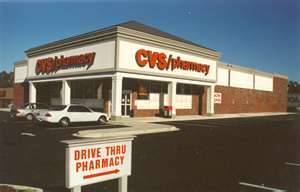 We don’t have a local CVS, but used to shop there regularly when I lived near one. I used my savings card regularly, and I used all sorts of coupons and was always getting great deals. CVS, how I miss you! I love their nail polish and supplies. Miscellaneous items, anything from asperin to windchimes. I like to buy cheap or free things there. I always stock up on cold and flu when on sale! Oh and 2 liters of soda! We get our prescriptions at CVS and also makeup and razors. I usually get toilet paper and paper towels there along with our prescriptions (if the sickies are running through our home!). I’ll occasionally buy food products if I find a sweet deal! I dont usually shop at CVS… I dont know what they sell. I purchase just about everything there. I watch for their good sales plus extra bucks. I always stock up when they have great makeup sales. I buy everything at CVS! I get my prescriptions at CVS. I buy everything except groceries at CVS. I buy make up and office supplies there. I would use it for coupon purchases, that have little out of pocket! racking up more savings. The basic household essentials like toilet paper toothpaste diapers etc. I like buying sale items of course. I buy alot from CVS it my favorite store!! Shampoo, conditioner, bodywash, soda, diapers and much more!! I get my prescriptions there, but I also love getting candy and makeup there. I buy everything at CVS from cleaning supplies to birthday cards. Thanks for this amazing giveaway! I usually pick up prescriptions. I’m a nail polish addict and LOVE strolling through the aisles at CVS looking for fun new colors! I like to buy beauty items from CVS and maybe some vitamins. We also pick up our prescriptions from there. I like to purchase back-t0-school paper products, makeup, toys on sale at Christmas and food and drinks on sale throughout the year. Hair care, beauty, supplements etc. Whatever I can get with coupons and get extra care bucks too. Household items, personal care items, etc. I purchase my make up and soda there. odd things that are on sale and get a lot of my scripts filled there! I like to purchase beauty items like lotions, lipsticks, nail polish. And household items like laundry detergent, air freshners, etc. I like to purchase things like hair care and oral hygiene products and makeup. i would like to purchase games cds at local CVS. I purchase my personal care items like soap , deodorant, and vitamins etc. We get diapers, wipes, shampoo, conditioner and band-aids at CVS! I love to buy their seasonal stuff…always a great selection. We buy shampoo…medicines….vitamins…things that are on sale with coupons. I purchase milk at cvs. Everything that I can use a coupon for and get it cheaply 🙂 I love CVS! Hair items, pop anything and everything. I would buy the christmas present specials when they come out. I purchase beauty supplies like nail polish and hairspray! i would rather have the amazon gc! i love cvs but what i do buy there is usually free lol! so i would love to get something for my sons 4th bday! its Monday! he loves anything and EVERYTHING spiderman! I like to buy things from CVS that I’m able to pair up sales with coupons. I’ve bought everything from paper items to food products. I also love the machine that gives me even more savings opportunities! I love to purchase candy makeup and perfume! They have eyeshadow I can’t find anywhere else. Also seasonal decorations and fun items! i buy over the counter drugs at CVS, plus some last minute toiletry items for my grandmother (she lives in a nursing home, and the CVS is very close and convenient to the home). I need a new hair dryer. some skin care I’m in need thank you for this amazing giveaway! We get all of our prescriptions at CVS! !